On Friday, December 21, 2018, Felicity-Franklin FFA members organized and supervised several community service activities for the first “Cardinals Care” day of giving event at Felicity-Franklin High School. Each high school student chose up to four activities for the four rotations throughout the day. Community service activities included packing overnight bags for children in foster care, making dog beds and dog toys to be donated to the Clermont County Humane Society, helping elementary students with crafts and other fun activities, playing bingo with senior citizens, making sleeping mats for the homeless, making tie blankets for Clermont Count Children’s Protective Services, building decorations for the Veterans Home, baking treats for hometown heroes, helping at Empower Youth, taking CPR and AED training, making cards for soldiers, making craft kits for children at the Ronald McDonald House, and making motivational locker decorations. Students could also choose to donate canned goods or money to play in or watch a dodgeball tournament. These projects, led by students in the agricultural capstone classes, served many different groups and encouraged high school students to participate in community service. There was an outpouring of support by community members that helped fund the activities and donate the items needed to make all these events happen. The Felicity FFA, along with the help of the entire high school and many community members, were able to donate or help 26 different organizations throughout our community. 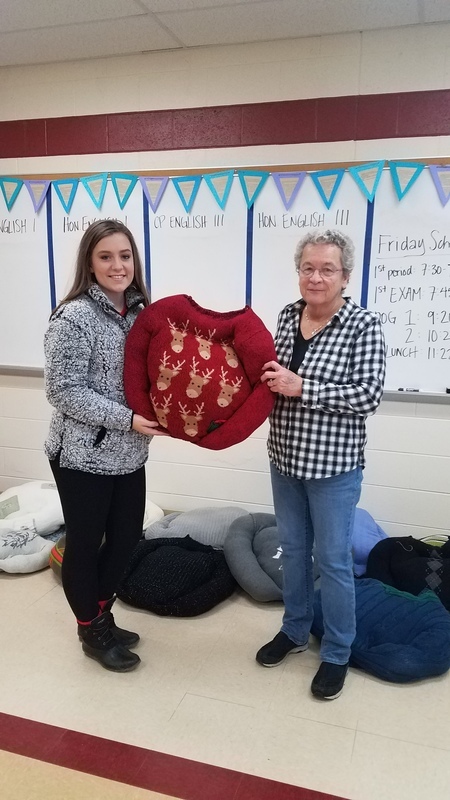 Project leader Bailey Lowe and her grandmother, who helped with the project, hold up a homemade dog bed. 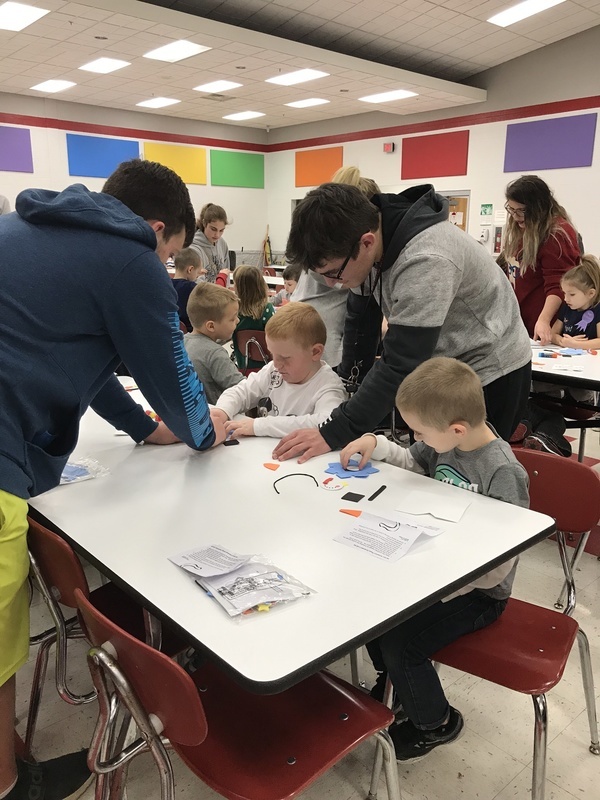 High school students Riley Pinger and Logan Clarkson help elementary students with crafts.